K Ki ケーキ:: A little slice of Japanese cake heaven! 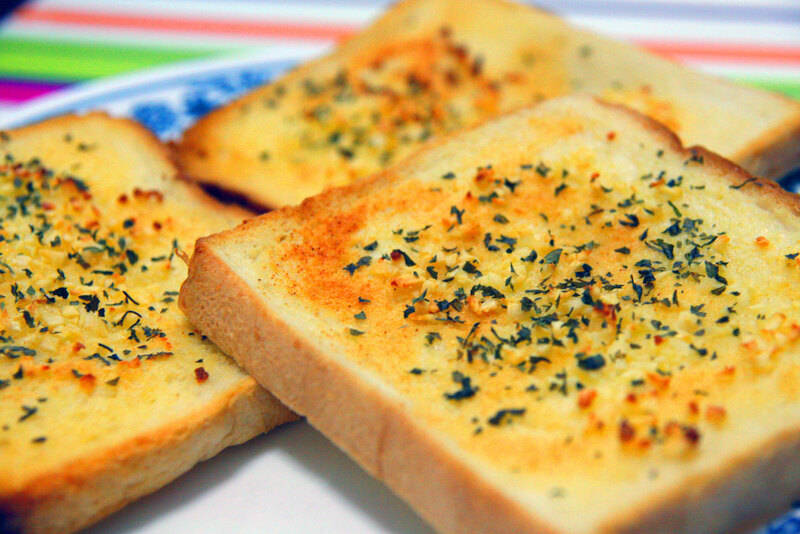 One fine day, I suddenly decided make my own garlic bread after seeing a bottle of “instant garlic bread” powder in the supermarket. Since the ingredients of the powder looked quite basic, I should be able to replicate them at home. 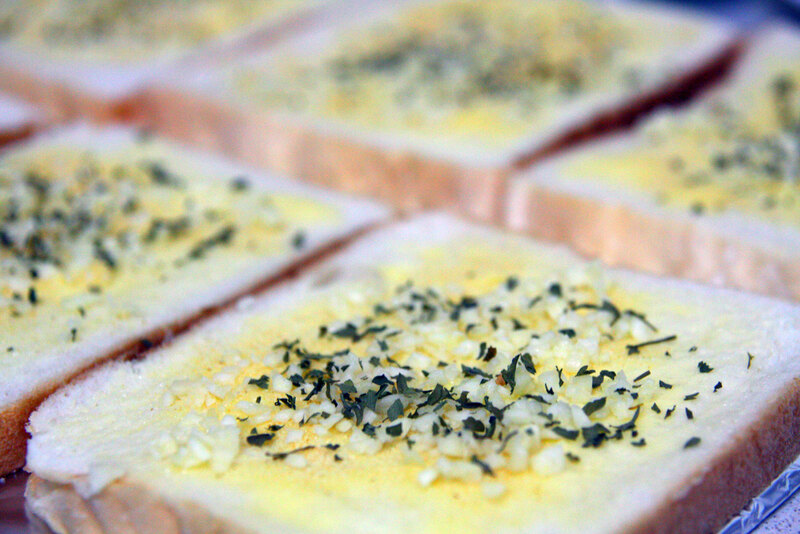 And so that’s what I did with some garlic power, chopped garlic, butter and parsley. Normally you would slice a French loaf and butter it inside before wrapping with foil and baking it. 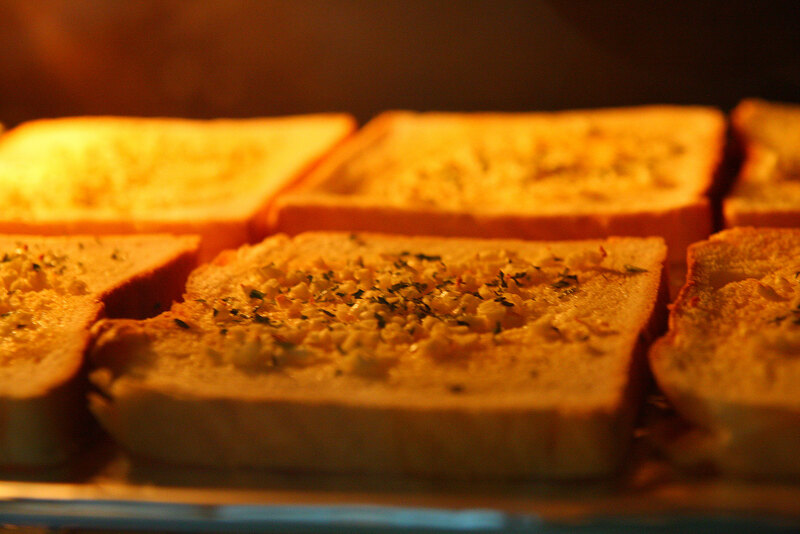 I was too lazy so I just used Gardenia bread and shoved them into the oven. Made even more of them, to satisfy my hunger. Shoved them into the oven to bake until golden brown. Done! Smelled good and tasted super delicious!! 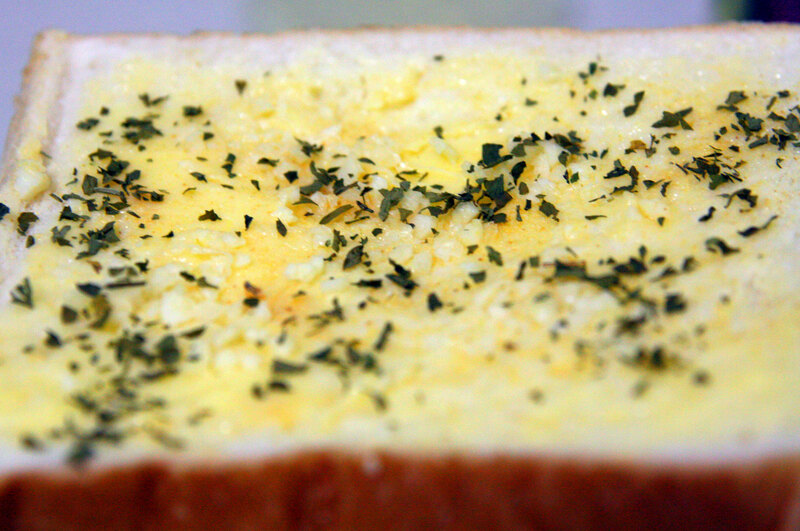 Only difference is that it’s not soft and buttery like the garlic bread we normally get at restaurants. This one was hard and crusty like toast bread. But still damn nice! Next time I will try with a French loaf. 2 Responses to "Home-made garlic bread!"